I knew on opening Silver Rain that I would be engaged by a complex family drama set in the beautiful countryside of North Wales but I hadn’t expected to have so much empathy with the two main characters Al and Kate. Kate is a warm-hearted, mature woman with flame red hair, trying to release herself from guilt, a year after the death of her husband Greg. She is encumbered by a dysfunctional sister, Annemarie, and a frail elderly mother. Her relationship with daughter Tia is in crisis so she is looking forward to a peaceful break, staying with her sister-in-law Fran at Chathill, a ramshackle farmhouse. Unbeknown to Kate, Fran’s brother-in-law, Al, is also coming to stay, with his young girlfriend Jo, even though he has been estranged from his brother George, Fran’s husband, for 15 years. After the break-up of his marriage, the sale of his house has made Al homeless. There will be no peace for Kate while Fran and daughter Becca care for a menagerie of rescue animals and George fumes at the effrontery of Al coming to stay at Chathill after their disagreement many years earlier. But what did happen between the two brothers? The underlying theme is secrets. 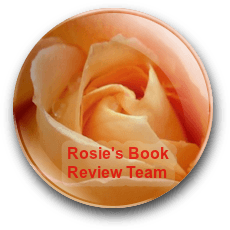 As Kate is drawn closer to Al by his charisma and humanity she needs to know how his close relationship with his brother was destroyed, but increasingly she also finds herself keeping secrets which could destroy their developing relationship. Interwoven with the main storyline are humour, mystery and passionate romance. Yet the characters, of every age, deal with the problems and joys encountered by us all today. As a reader, you long for a happy ending for Al and Kate but there are also so many other sub-plots that could lead to other interesting tales, especially the back story of Al’s mother. 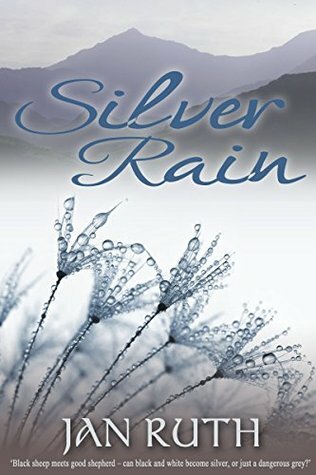 To meet Al’s dogs Butter and Marge, Becca’s horses Pumpkin Pie and Candy Floss and see Al in wig, baggy trousers and clown make-up I recommend you begin reading Silver Rain as soon as possible. What a really great review. Sounds like my kind of book. It sounds lovely. Thanks for the review, Liz. Sounds like a wonderful story…I’m sold, too! An intriguing story by the sound of it. Sounds like a really good story, and what a beautiful cover. Great review. It sounds like an enthralling story.